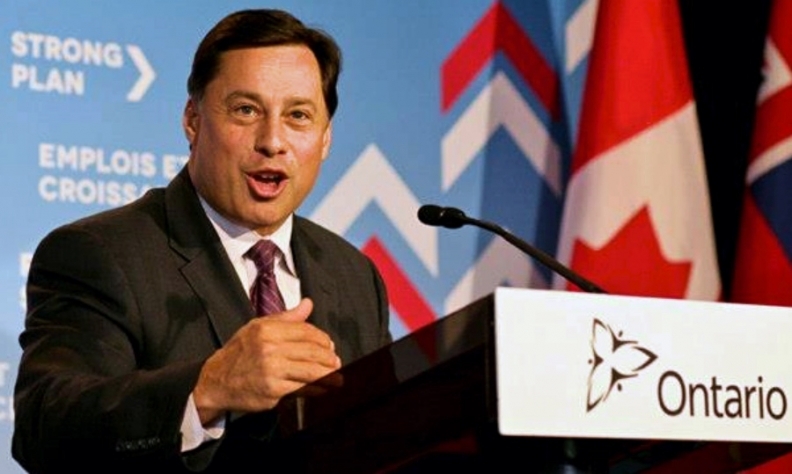 Ontario Minister of Economic Development and Growth Brad Duguid also expressed concerns Thursday, calling on the President-elect to acknowledge the importance of the relationship between automakers and parts suppliers in Ontario and the United States. OTTAWA -- There is no question of separating the Canadian and U.S. economies, Canadian Trade Minister Chrystia Freeland said Thursday when asked about the potential impact of a Donald Trump presidency. Trump, who will formally become President on Jan. 20, has vowed to either scrap or renegotiate the North American Free Trade Agreement (NAFTA), under which Canada sends 75 per cent of its exports to the United States. Trump has recently attacked auto manufacturers which plan to expand capacity in Mexico, promising to impose taxes unless they shift production to the United States. The Canadian and U.S. auto industries are highly integrated and Canada's economy could suffer badly if Trump took aim at plants north of the border. "With respect to relations between Canada and the United States, I think it's very important to understand that this is a very balanced relationship," Freeland told a televised news conference in Montreal when asked whether U.S. investors might be less keen on Canada under Trump. "Both the Canadian and U.S. economies have a very close relationship. There is no question of separating those two economies," she said. Amid fears of a protectionist Trump administration, Canadian Prime Minister Justin Trudeau reached out in a video address to the new U.S. Congress on Tuesday to stress the two nations' tight economic links. "U.S. trade with Ontario will be vital to his efforts to create jobs and grow the US economy, particularly when it comes to the auto sector and to the Great Lakes states that were crucial in his election victory," Duguid said in a statement. In 2016, Ontario Premier Kathleen Wynne signed an agreement with Michigan Governor Rick Snyder to grow the auto sector together, as one Great Lakes auto cluster. Duguid said Thursday the average vehicle produced in Ontario or Michigan crosses the border in some form seven times before it’s ready to finally roll off the assembly line. "The President-elect has committed to creating jobs and grow the American economy, and that means a strong Great Lakes auto sector," Duguid said. "We look forward to continuing our great working relationship with the US government and with individual states."